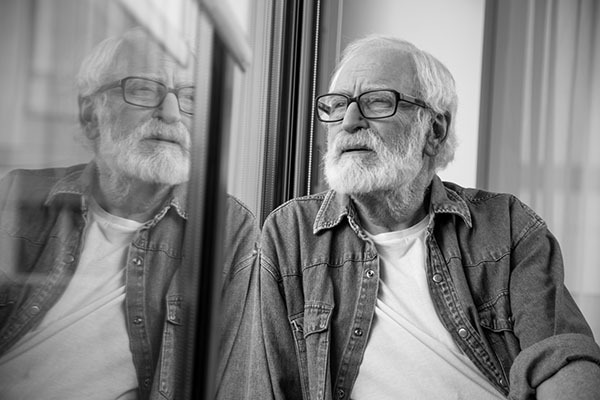 After cataract surgery, many patients can experience cloudy or hazy vision. This common condition can occur months or even years after their initial cataract surgery and is called a posterior capsule opacification (PCO). PCO can be thought of as a scarring process that occurs in the capsule that contained the eye’s natural lens. The treatment for PCO is quite simple and is done with a YAG Laser Capsulotomy, a painless laser procedure that takes only a few minutes. There is no downtime after a YAG Laser Capsulotomy, but many patients experience floaters in their vision for a few weeks. These floaters may be small or large and are often described as a “bug” or “amoeba” in the patient’s visual field. They can be dark or transparent in color. You will have a follow up with your doctor within two to three weeks of your YAG Laser Capsulotomy to ensure that your eye is healing well. People sometimes wonder if a YAG laser capsulotomy can increase the impact of flashes and floaters on vision. Keep reading to learn more about YAG Laser Capsulotomy and floaters! 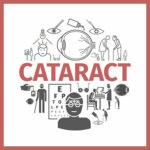 Do I have another cataract? When hazy vision occurs after cataract surgery, it’s natural to think you may still have a cataract. However, that’s not exactly the answer. If you’ve had cataract surgery, you’ll know that your natural lens was removed, and with it the cataract that caused clouded, hazy vision. In the place of the natural lens of the eye, an intraocular lens (IOL) was instead inserted. Your new IOL is placed inside of what is called the ‘lens membrane’, often referred to as a bag or capsule. The capsule is needed to keep the IOL in place after the cataract removal. For some patients, the capsule develops excess epithelial cells from the eye. When the excess cells migrate to the capsule, you experience hazy vision. These symptoms are often comparable to cataract symptoms, which is why it is sometimes referred to as a ‘secondary cataract’. However, cataracts will never recur following cataract surgery. Instead, your hazy vision is likely posterior capsule opacification. If you have posterior capsule opacification, a YAG Laser Capsulotomy is the only way to treat the condition. A YAG laser capsulotomy is a short outpatient procedure available at Diagnostic Eye Center. Once you arrive, your eyes get dilated. Unlike cataract surgery, there is no anesthesia needed during a YAG Laser Capsulotomy! After dilation, your surgeon creates a small opening in the capsule using the YAG laser, which allows light to travel to the back of the eye and improves quality of vision. One of the best things about a YAG laser capsulotomy is that the procedure is effective after just one quick treatment. Because a small opening has been permanently created in the capsule of the eye, you cannot get another posterior capsule opacification. Even better: you can go back to your everyday activities immediately! What happens after a YAG Laser Capsulotomy? 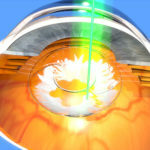 Unlike cataract surgery, there is little recovery downtime after the procedure. Your doctor will likely prescribe anti-inflammatory eye drops to take for about a week following your YAG capsulotomy. These drops help speed up healing and reduce any inflammation or discomfort. Following the procedure, you will be able to participate in most of your normal daily activities. Your eye doctor at Diagnostic Eye Center will advise you if there are any activities that should be avoided during the initial time period following your procedure. Within a day or two after YAG laser capsulotomy, your vision will begin to improve. If after a few days your eyesight hasn’t gotten any better, or worsens, let your eye doctor know! This could be a sign of a complication. Although rare, it is possible that the opening made during a YAG laser capsulotomy may not be big enough. If this is the case, a follow-up visit may be required. They can easily make the first opening bigger, letting you achieve improved vision. A common concern about getting a YAG laser capsulotomy is the development of floaters. But what are floaters in the first place?  Floaters are small specks or lines that can develop in your vision. They are small clumps of gel or cells inside the vitreous. The vitreous is a gel-like substance that fills the interior of the eye. When you see floaters and flashes, they are shadows of the cells being cast on the retina. 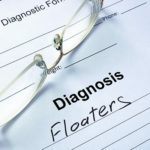 Floaters are not harmful, and can be disregarded unless they are severely interfering with vision. With floaters, you may also notice flashes. Flashes are like floaters, except they look like flashing lights or lightning. Flashes happen if your vitreous has rubbed or pulled on the retina. As we get older, it’s normal to develop more flashes and floaters. This is because the vitreous may thicken or even shrink with age. Flashes and floaters often become more noticeable while looking at a blue sky or a plain white wall. Why do I see more floaters after my YAG Laser Capsulotomy? Floaters aren’t dangerous, but seeing an increase in them can be annoying. After YAG laser capsulotomy, it is not uncommon to experience more floaters than normal. During a YAG laser capsulotomy, the clouded capsule of the eye is broken up to allow light to pass through. Some of the increased floaters are due to small pieces of the capsule floating around in your eye. For most patients, seeing more floaters after their YAG laser capsulotomy is temporary. They should decrease after a few weeks while you continue recovering from the procedure. What if I don’t have a YAG laser capsulotomy? Although a YAG laser capsulotomy is an elective procedure, it is highly recommended. With a posterior capsule opacification, the haziness you see will only get worse without treatment. Remember what your sight was like before undergoing cataract surgery? That’s what your vision may be like if you opt not to have a YAG laser capsulotomy. Left untreated, the capsule will continue thickening. A YAG laser capsulotomy is the only way to treat posterior capsule opacification. YAG laser capsulotomy is a quick (5-10 minute) outpatient procedure that results in an almost immediate improvement of vision. Any hazy or blurry vision should begin dissipating immediately following your procedure. After your recovery, you’ll finally have the clear vision you’ve been waiting for! Losing your vision to cataracts means losing a vital part of your identity. With a YAG laser capsulotomy, you can be you again! Enjoy taking photographs of nature or go for walks with your friends on sunny days. Go to your favorite museum and walk around the exhibits with clear, beautiful vision. You’ve earned it! Wondering if you may need a YAG laser capsulotomy? Contact Diagnostic Eye Center in Houston, Texas today! If you’re tired of hazy vision after cataract surgery, a YAG laser capsulotomy may be right for you!